Image courtesy CERN (© CERN). 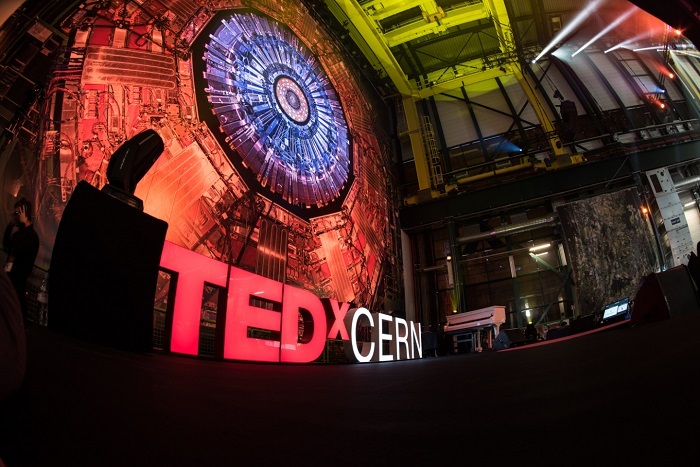 From breaking down boundaries to creating virtual labs, and from smart interfaces to teaching kids to code, the TEDxCERN event included a range of great IT-related talks. Linda Liukas spoke about the importance of helping young people to engage with coding. Michael Bodekaer introduced Labster, a virtual laboratory simulator. Sean Follmer talked about several smart, shape-changing interface technologies. Neil Gershenfeld discussed breaking down the divide between physical and digital sciences. Linda Liukas, a Finnish computer programmer, gave an excellent talk on helping the next generation to engage with computer coding. In a world that increasingly relies on software, Liukas believes that it is essential to have more diversity among the people who will be building it in the future. In her talk, she tells of her massively successful Kickstarter project Hello Ruby, which produced a book for children aged 5-7 that teaches the fundamentals of computer programing through narration and child-friendly activities. Find out more about Linda Liukas by reading our recent feature article: ‘An ode to code: the poetry of programming’. Another education-themed talk was given by Michael Bodekaer, who presented a fantastic alternative to conventional teaching methods. He unveiled Labster, a revolutionary new way in which technology can be harnessed to deliver unparalleled teaching capabilities. Observing the effectiveness that flight simulators have on aircraft training, Bodekaer’s team decided to apply this approach to scientific study, creating a virtual laboratory simulator. Also at TEDxCERN was Sean Follmer, who presented several exciting technologies developed by the Tangible Media Group at MIT Media Lab, aimed at making our environments adapt to our needs. These technologies use shape-changing and deformable interfaces, such as inFORM — a ‘dynamic shape display’ that lets users physically interact with digital information by rendering 3D information using hundreds of mechanically operated pins. Another shape-changing interface called LineFORM was also introduced during Follmer’s talk. This can take multiple forms, from a handheld phone, to a desk lamp. Finally, Neil Gershenfeld gave a talk on how computing has — in his view — erroneously been divided into the physical and digital worlds, and how it makes more sense for computer science and physical science to be treated as the same. “We are now at exactly the moment when we can cross that barrier, and we can turn digital and physical into programming reality,” says Gershenfeld in his talk. He argues that the introduction of community access to digital fabricators, such as 3D printers, shows another way in which the barriers between the physical and digital worlds can be broken.